With conversations taking off about the over-use of pesticides, it may be time to start thinking about about working with the ecosystem to proactively solve pest problems in the lawn and garden. Many people looking for the “silver bullet” pesticide solution for getting rid of a particular problem pest may actually be indiscriminately poisoning all the other beneficial insects that occupy the same area. There is a better way! Planting vegetation thoughtfully in your landscaping or on the patio can not only repel the bad bugs, but attract the good ones. We’re sure you know about the bad bugs– mosquitoes, gnats, and the myriad of pests that eat your garden spoils before you can enjoy them. But what are the good bugs? There are pollinators, which are responsible for helping plants reproduce into the next generation. Examples of pollinators are bees, butterflies, moths, flies, ants and beetles. Then there are the critters that target other plant-eating bugs, like praying mantises, lady beetles (lady bugs), green lacewings and predatory wasps (the kind without stingers). These are the guardians of the garden, and you’ll want to keep them around as “bouncers” to protect your prized herbs, vegetables and flowers. And don’t forget about the soil life, including earthworms and beneficial microbes that have symbiotic relationships with plants. Studies show that keeping the ecosystem of your lawn and garden as intact as possible is conducive to its long-term health, instead of sterilizing it for aesthetic’s sake. It also reduces your (and your pets’) exposure to synthetic industrial chemicals, which can cause a burden on the body. Let’s start with one of the most hated pests to haunt the outside world, mosquitoes. Generally, mosquitoes are attracted to heat, CO2 and lactic acid, so if you’re out in the yard during the summertime, and especially if you’re doing physical activity, chances are you have mosquitoes tracking you. Check out our five favorite plants to keep them away naturally. Candles are one thing, but having fresh, citronella grass as a seasonal fixture in your yard confuses mosquitoes and prevents them from being able to find you. This clumping grass loves full sun and is perennial, but doesn’t do great in frost-prone areas, so we’d recommend planting it in pots and moving it inside during the winter months. 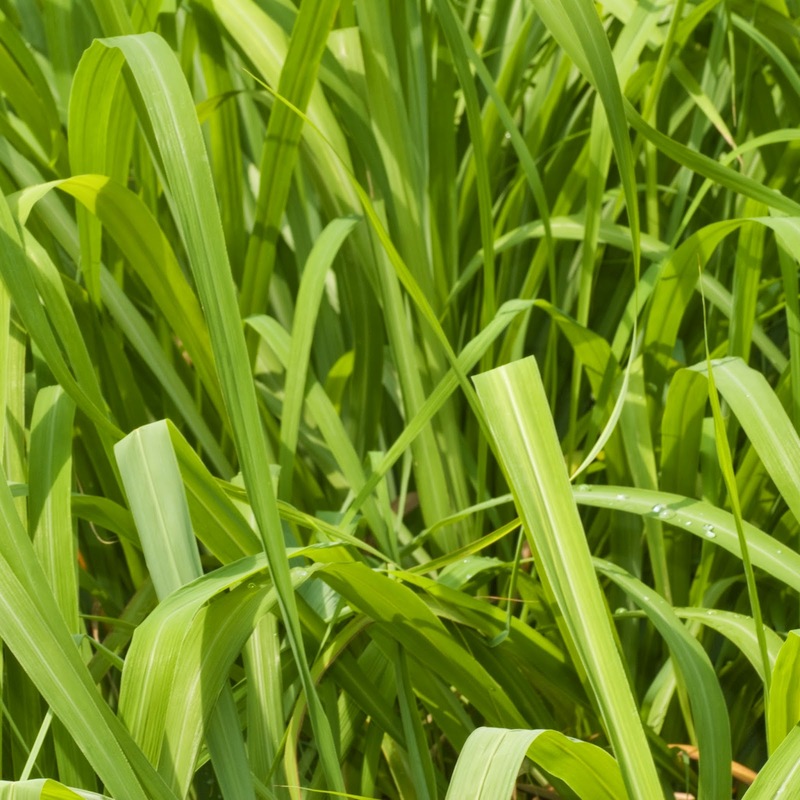 Hunt down the “true” types of citronella, like Cybopogon nardus or Cintronella winterianus, instead of citronella-scented plants (that don’t have the same mosquito-repelling features as the real plant). Similar to citronella, beebalm (otherwise known as horsemint) emits a scent that throws mosquitoes off, and makes them search elsewhere for their next meal. What’s better, is that an array of pollinators love this beautiful flower, which is edible and has medicinal qualities. 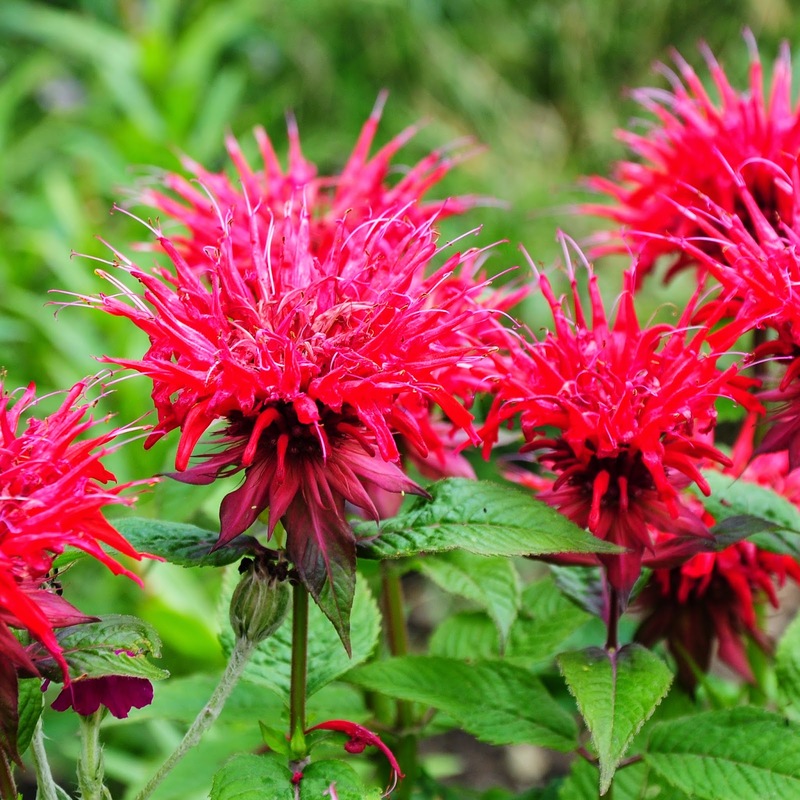 Beebalm reaches a height of 2 to 3 feet, and is surprisingly shade-tolerant. We’d recommend a native species that may do better under Colorado conditions, like the Monarda fistulosa or Scarlet Beebalm. Beautiful, fragrant and easy-to-grow, lavender is a semi-woody perennial flowering perennial shrub that people love, but pests hate. It does best when planted in sunny areas in the yard, but can also be picked, put into bouquets and placed around the home to keep flies at bay. Although the most commonly seen varieties of lavender are shades of purple, they come in an array of colors like pink, white, blue and violet. 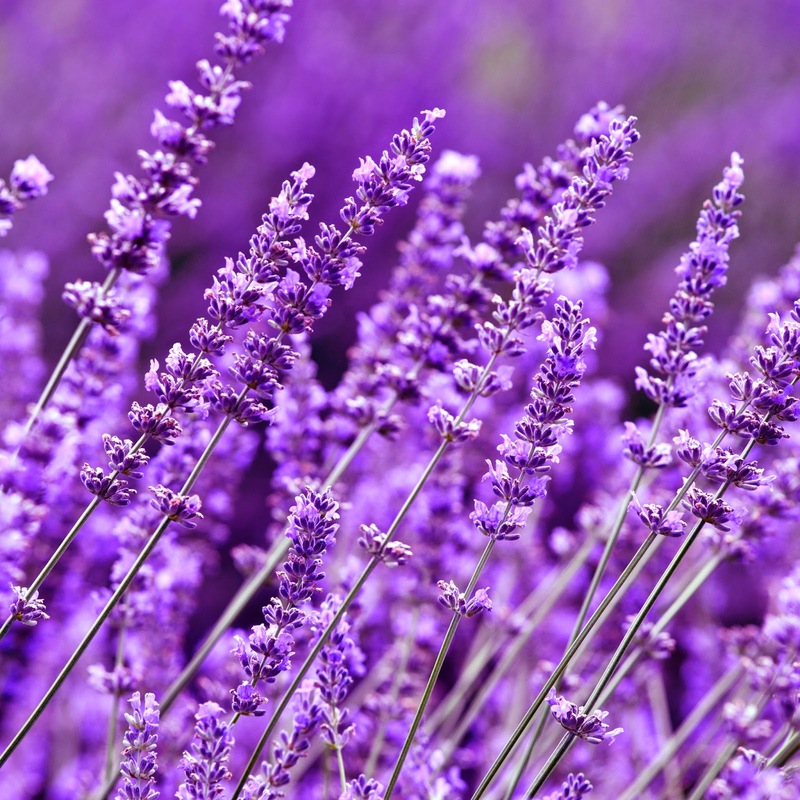 For tons of ideas on how to use lavender, visit everything-lavender.com. A 2010 Iowa State University study found that this perennial herb is 10 times more effective than DEET at repelling annoying insects like mosquitoes, flies and gnats. That’s because it contains an active ingredient– nepetalactone– that drives pests away. 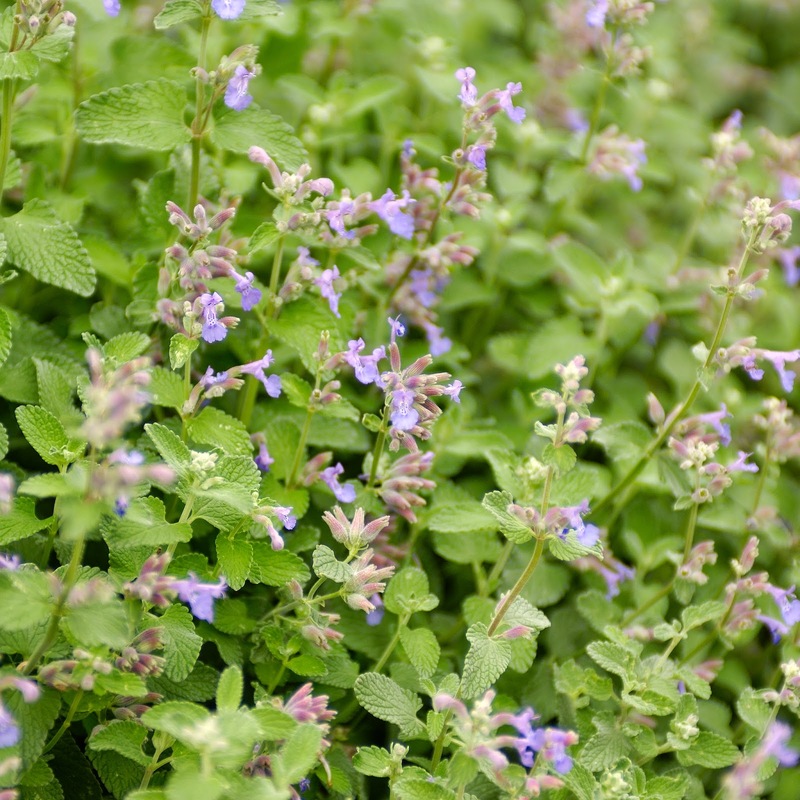 A favorite for bees and butterflies, catnip does well in full sun, likes alkaline soils and is pretty drought tolerant. And if you happen to have wild visitors that munch on your garden, this plant also repels deer and rabbits. We recommend the Nepeta racemes (otherwise known as “Walker’s Low”) or “Little Trudy” varieties for Colorado. We’re not forgetting about our bright, hardy annual friend, the marigold! 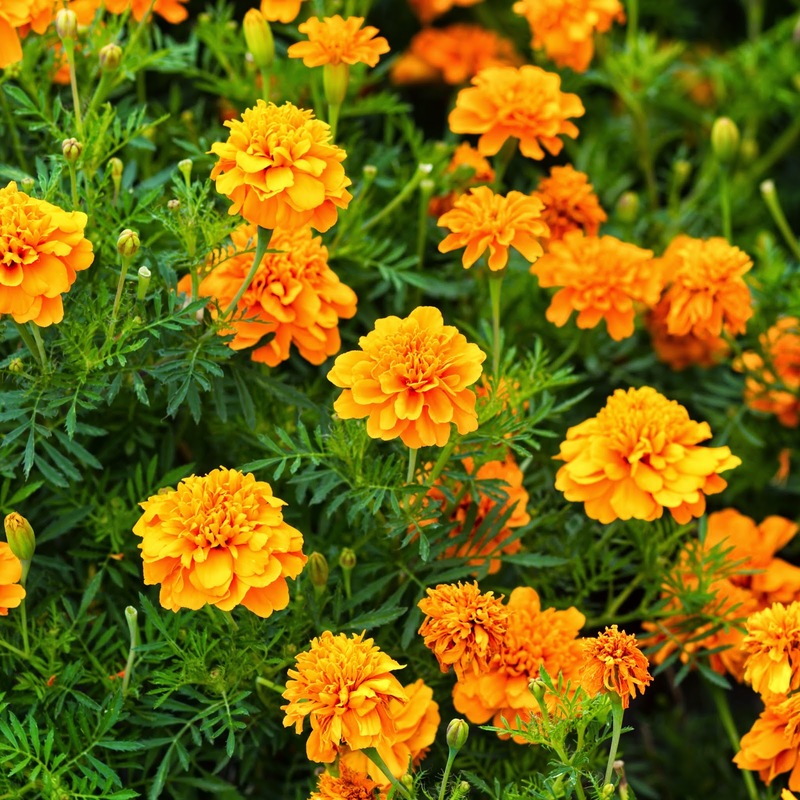 When potted and placed strategically around the yard and garden, marigolds can effectively repel mosquitoes with their active ingredient, pyrethrum. Marigolds also repel pests that attack garden plants (especially tomatoes), so a couple well-placed flower pots in raised beds or in container garden areas can give you a great chemical-free bolster for protecting your edibles. Be careful placing these plants on the patio, however, because their bright color can attract wasps (the kind with stingers). Give them lots of sun and deadhead them often, and these flowers will have your back. Some other great pest-repelling plants include: ageratum, geranium, basil, lemongrass, lemon thyme, mint and rosemary. For the full list of pest-repelling plants, click here. Bat houses are also great for controlling pests; they provide daytime shelter for bats, a nocturnal pollinator that can eat up to 1000 mosquitoes an hour. You can buy a bat house here. For the bugs that are hungry for certain crops in your garden, try planting some of these flowers and herbs nearby to either trick their senses, or ward them off completely. Plants with tiny clusters of flowers, like yarrow, coriander, fennel and dill, attract green lacewings and ladybugs, which eat up to 5,000 aphids in their lifetimes. Many of these same plants will bring in predatory wasps, which prey on caterpillars trying to munch on cabbages, broccoli, cauliflower and other assorted greens. Some other popular plants that attract all three of the aforementioned bugs are lemon balm, chamomile, catnip, parsley and catnip. Plants that attract hoverflies, like English lavender, buckwheat, statice and sweet alyssum, will help in the battle against leafhoppers, which tend to go after tomatoes, beans and potatoes. Plants that lure damaging pests, like scented geraniums and Four O’clocks, are great decoys to keep bugs like Japanese beetles away from protected plants. The bugs are attracted to the flowers, which are toxic to them, so these varieties are sort of like trap plants. Nasturtiums are another good plant to grow to attract large numbers of black aphids, which will be drawn to the flowers (they can be sprayed with insecticidal soap or picked off and disposed of). Intermixing pest-repelling plants in the garden, like low-growing herbs, can trap and isolate pests and throw off their ability to find a new host plant. For more information on pest-repelling plants, contact us!